And one important step to take to prevent it. Contact one of the three credit bureaus (Experian, Equifax, Transunion) and put a fraud alert on your credit report. This will immediately flag your credit and let creditors and lenders know that extra steps are required to ensure your identity before issuing credit in your name. This alert is a free service and will remain active on your account for 90 days—in some cases you can request an extension at no additional fee. Get a free copy of your credit report and scan it closely for any accounts that may have been opened fraudulently. Each of the three credit agencies are required to provide you with a free credit report once you’ve placed a fraud alert. If you spot anything that wasn’t authorized, begin the dispute process immediately—there is an option to do this online on any of the three reporting agencies’ websites. Contact the Federal Trade Commission and create an identity theft report. You can do this online, by calling them toll-free at 1-877-ID THEFT (877-438-4338); TDD (toll-free): 1-866-653-4261, or by mail to 600 Pennsylvania Ave., Washington DC 205 Once you file a report, the FTC will give you additional steps to take depending on the type of fraud that’s been committed. File a police report. After you contact the FTC, you’ll need to contact your local police and create a report with them—these two reports go together and are needed when you are disputing activity on your bank account or working with creditors to remedy unauthorized charges. Call your creditors and bank. If your wallet was stolen or a thief has swiped your credit or debit card number, you’ll need to contact the credit card company and your bank right away to close out any and all accounts. Contact social security and the IRS. If your case involves someone getting your social security number, it’s critical that you contact the Social Security Administration and the IRS. Remember, even if there hasn’t been any unusual activity yet, thieves often use social security numbers to steal tax refunds years later or to get healthcare or apply for a job. Of course, the best solution to identity theft is not to become a victim in the first place. And while no one is immune, safeguarding important documents and discarding those with personal information responsibly can go a long way towards protecting your identity. 772-283-4152 or fill out on our online quote request form. 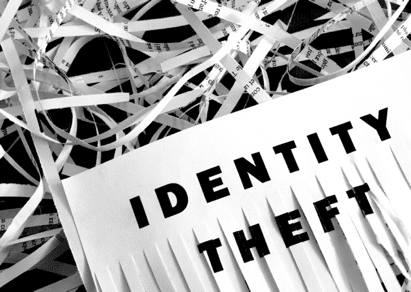 ← Is your child already a victim of identity theft?